2013 Summer Series from Canberra, The National Museum of Australia. 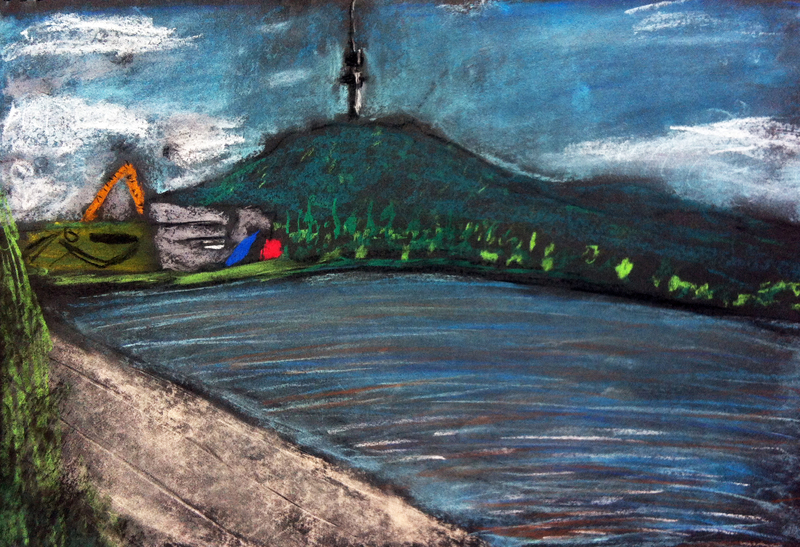 2013 Summer Series from Canberra. Welcome to the 2013 Summer Series from Australia’s Capital City, Canberra. To start of this series I will take a closer look at one of Canberra’s most controversial buildings, The National Museum of Australia. The National Museum of Australia. 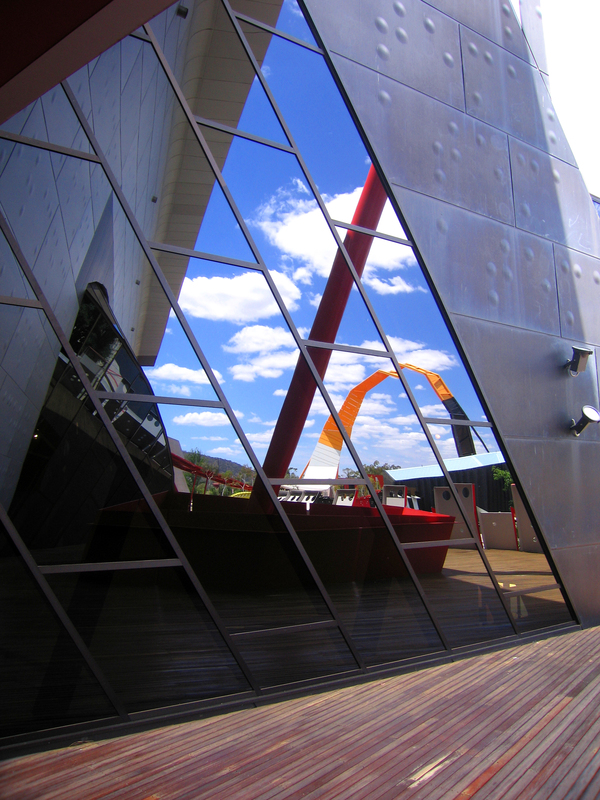 The National Museum of Australia (NMA) was opened in 2001 on a prominent site overlooking Lake Burley Griffin. It was designed by Director Howard Raggatt from Ashton Raggatt McDougal (ARM) and Robert Peck von Hartel Trethowan. The museum houses a collection of artifacts relating to the social history of Australia with the objective of the museum being to tell Australian stories. With this in mind there is also a collection of individual narratives from Australians across the country. Often in architecture there is a single unifying idea or element which ties the design of a building into a cohesive finished product. The NMA has no such element. Instead it has a mass collision of architectural references, metaphors and ideas. 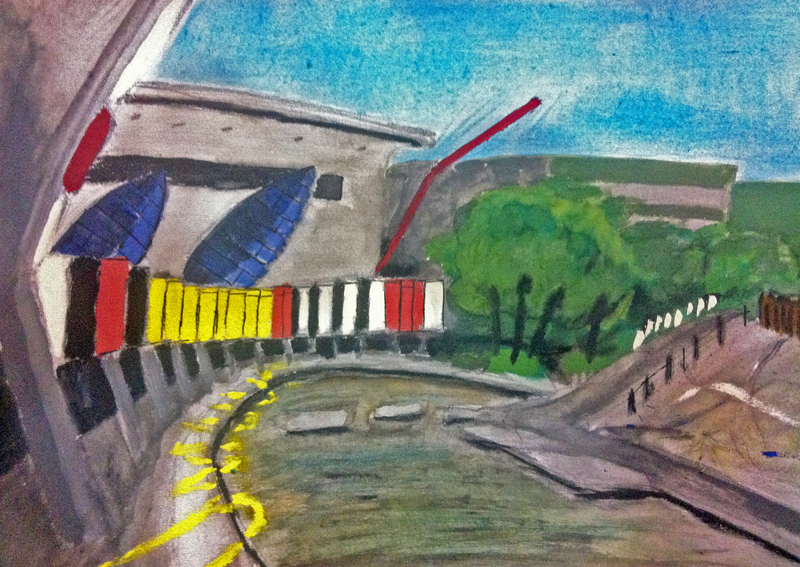 Among the most famous of the referenced architecture and art are Jorn Utzon’s Sydney Opera House, Walter Burley Griffin’s Newman College and Jackson Pollock’s Blue Poles. Clearly the most controversial reference was for the First Australians exhibition space. The plan for his section of museum is a reduced scaled copy of Daniel Liberskind’s Jewish Holocaust Museum. This subtle act of architecture makes a massive intellectual statement about Australia’s treatment of the Aboriginal and Torres Strait Islander people. Further contributing to this controversy are the circular supersized Braille facade markings, which in certain places have now been obscured due to their reference to Aboriginal genocide. 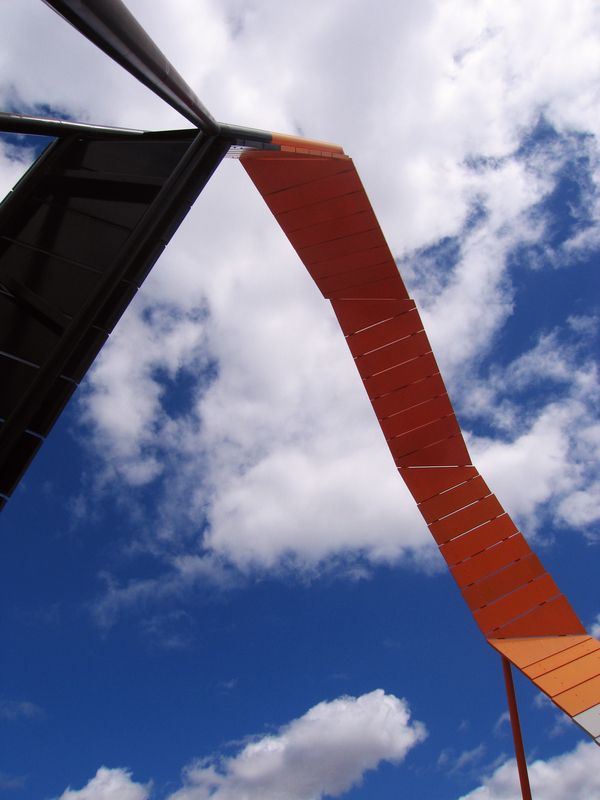 The most iconic element of the design is the sculptural loop which extends out from the entrance canopy. Reminiscent of a theme park roller coaster it provides a focal point whilst also clearly directing visitors to the starting point of their journey. 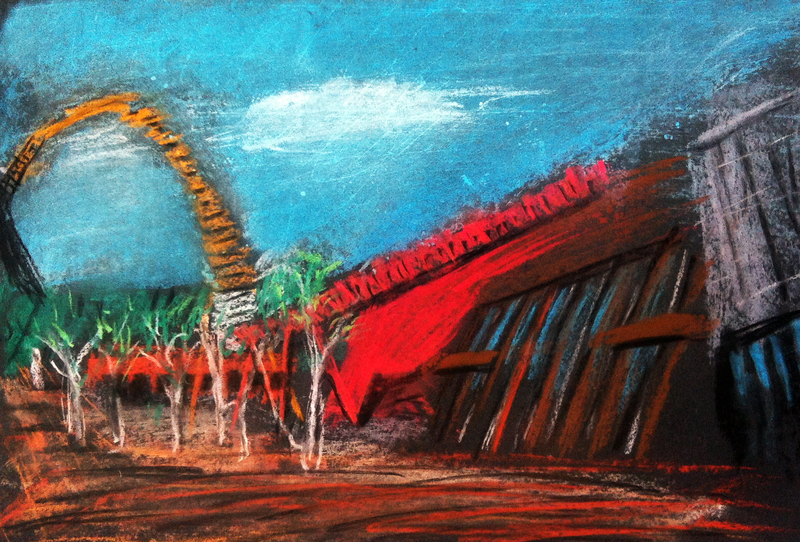 Conceptually this element connects the entry of the museum to an axis aligned with Uluru in central Australia. This aspect is not made obvious to a visitor and is only understood by asking the friendly staff or visiting the NMA website. 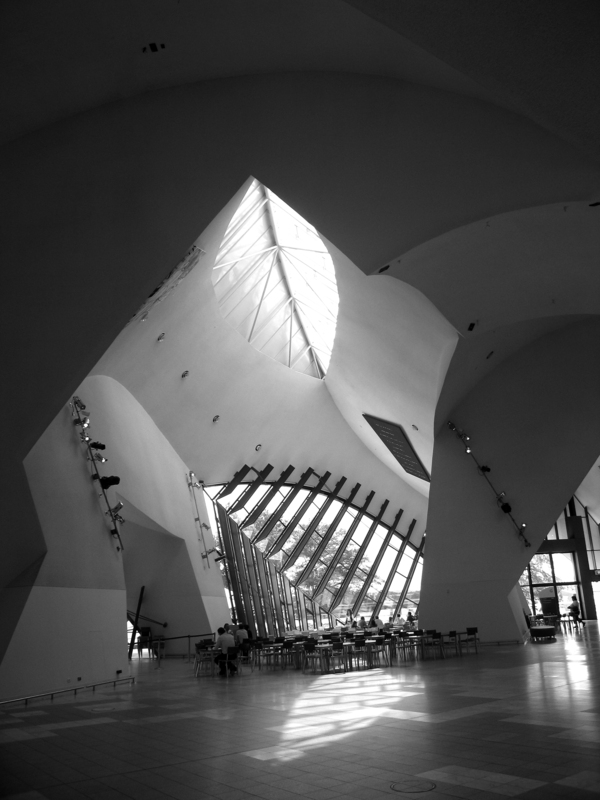 Once you have entered the building you find yourself in the impressively sculptural Museum Hall. The conceptual idea of this space is that of a metaphorical knot which ties the many different strands of Australian society and history together. The space itself is represented as the inverse of the shape and mass of this knot. For me the Museum Hall is very much the highlight of the architecture. The Garden of Australian Dreams is located in the large central courtyard of the Museum. This space is more of a outdoor art piece which can be explored on foot. Laced with hidden metaphors this space is to be read as a microcosm of Australian life. It is a space that one might more readily expect at an art gallery as it seemingly leaves the history at the door. However what I most like about this space is that unlike the exhibition galleries and the entry hall it clearly feels Australian. I think this national resonance and identity is very important in such building as it goes to the core of what a national museum should be. As discussed in a previous post, analysing a piece of architecture using Vitruvius’ three components firmness, commodity and delight, is an excellent starting point for a critique. Firmness originally referred to the structural integrity of a building; however a contemporary interpretation expands this concept of firmness into continued permanence and sustainability. Being a building of national importance it is easy to imagine this building existing for a very long time. The only foreseeable challenge to this permanence as I see it is how the building purpose adapts to new digital and online technologies. Admittedly this may be more an issue for the curatorship than the building itself. The commodity of the building refers to how the formed space functions from a practical viewpoint. As a visitor, the space needs to enable an intuitive way for the entire 6600 square metres of exhibition space to be explored. The semicircular plan of the NGA allows this to occur to a large extent however I found the transition between the internal exhibition space and the external Garden of Australian Dreams, at the end of the semicircle, to be less intuitive. In fact upon reaching the end of the exhibition space I felt I was required to partially backtrack through the exhibits to find an entry to the garden. It turned out that this was in fact not necessary and that I should have been able to find doors to make the journey in a more direct and linear fashion. All in all the building seems to work functionally quite well, but it is not perfect. I think it is fair to say that the building is not particularly beautiful. I have no doubt that many have visited the building and been immediately critical of a building which on the surface may seem whimsical and disconnected on first inspection. However just like beauty in people, beauty is not skin deep. The delight in this building for me was more in the discovery of the ideas than in the composition of the elements. Some ideas were obvious, others required pointing out and some are still not entirely clear. This uncertainty stems from the diversity of our origins and of our influences which are all tied together to make Australia what it is. 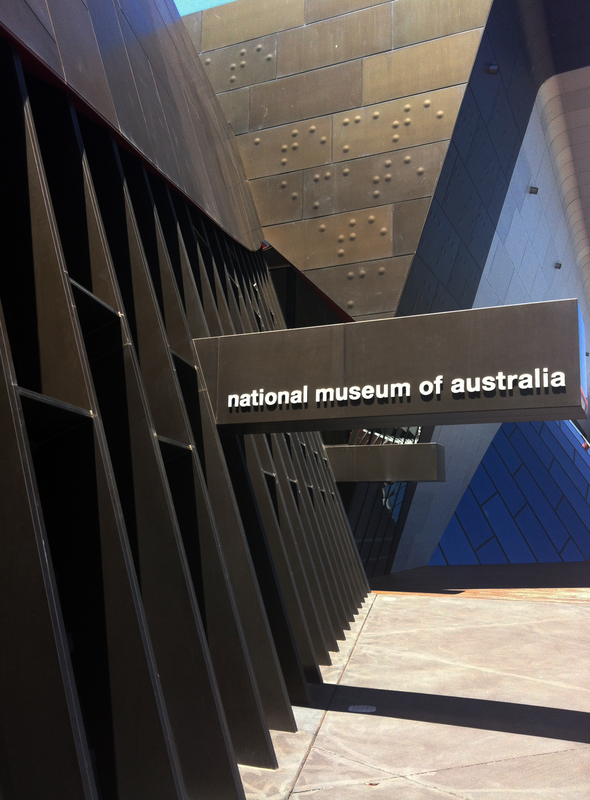 The ideas embedded within the Architecture of the NMA are a reflection back upon these diverse strands of Australian culture. The result is a successful and thought provoking building of national significance. This entry was posted in 2013 Summer Series, all posts, Review, Uncategorized and tagged Ashton Raggatt McDougal, Howard Raggatt, National Museum of Australia, Robert Peck von Hartel Trethowan., Vitruvian Analysis. Bookmark the permalink.